Sometimes when I step into the ring to spar I have no idea what I am trying to do. I don’t know what my first ‘move’ will be, how I would achieve it nor how it will fit into my ‘tactics’ for this bout. More than that though, I am not clear on what I am trying to achieve by sparring. In this article I want to explore the potential benefits and problems of sparring and look at how to realise those benefits. This has nothing to do with my esteemed opponents, I hasten to add. They, by the very fact they pick up their swords and face off against me, are offering me the chance to learn, to improve my fencing and become better. It doesn’t matter if they are complete beginners, experts or anything in between. I have to use techniques against them, if they are effective then they were ‘right’; if they don’t work they were ‘wrong’. Simple. It’s all about me! How do I approach the bout on a practical level and what can I learn from it. We at the Wrathful Peasants spar a lot, we do it every session, it’s not the ideal mix but nobody’s perfect. It’s in the context of this regular sparring that I have come to consider exactly what I get from sparring (positive and negative) and what I want to get. I said at the top of the page that I sometimes don’t know what I am trying to do when sparring but I never question the fact that sparring is what I should be doing. Alongside drill and in the right proportions to other parts of the Art, sparring is where it’s at! As we know nothing in this crazy, mixed up, post-modern world is unequivocally good (aside from strong tea and biscuits that is). So we have to consider what bad can come from sparring. If we know what the likely negative consequences are, we can try to avoid them or at least mitigate their effects. Becoming too focused on winning. At the end of the day sparring should not be competitive. It’s not about scoring the most points, it should be about developing skills you have been learning, in a less structured setting and testing them against the criteria we have established for ‘success’ and ‘quality’. Repeating the bad habits. We learn what to do by repeating it and the weird feedback loop that is the human condition means that if we repeat something often enough we learn it. Even if we don’t really want to. Unless we maintain a cognitive involvement in our sparring we are just as likely to be come extremely good at doing a technique incorrectly. Overshadowing drilling and study. Something that I have direct experience of due to laziness on my own part. We like to spar and unless someone prepares something to teach/drill the default is just to kit up and dive in. Sparring might be a great way to try stuff out but unless you have actually learnt something in the first place you won’t be getting the best out of it. This is by no means an exhaustive list of the possible problems with sparring but it does capture the things that I want to avoid when I spar. I am particularly prone to laziness, instead of using sparring as a motivator to get better I sink into familiar ruts and get frustrated. My opponents may or may not be in the same boat. It is extremely difficult to tell if they ‘beat’ me because they are getting better where I am stagnating or if they are also stagnating and I am becoming better at reading their patterns. ALL the tools we have available to us. An awareness of what you can make work. Techniques that you know how to do and that you can execute at the appropriate time. Knowledge of what you can’t get to work and a chance to understand why. Maybe you aren’t doing the technique quite right or maybe you are applying a well perfected move at the wrong time. Only sparring will reveal these weaknesses in technique and tactical approach. Work out which techniques and tactics you may be over-using. We all have ‘go to’ moves and over reliance on them is bad news. We become predictable and thereby vulnerable to observant opponents who can spot openings and exploit them. See what’s lacking in your repertoire. If you, as a bare minimum, stay mentally engaged with the bout then you will probably spot openings, patterns and vulnerabilities in your opponent’s fighting. If you are a great fencer then you will have the tools necessary to exploit them. In between is a competent, self-aware fencer who sees the gap but lacks the tools. This is where I want to be. I want my sparring to reveal things that I need to learn. It then becomes a part of well rounded development. Sparring shows me what I need and where to use it, study of texts will provide me with the knowledge of what to do and drilling allows me to perfect my ability to actually carry out the technique and so we come back around to sparring where I get the opportunity to test it all in a ‘crisis’ situation. Practice. Physically carrying out skills that we have been reading about is vital to making them a part of our Art. We need to repeatedly do something to become familiar with it and make it a part of our muscle memory. Sparring is a less structured type of practice that has one key feature that sets it apart from drilling…. Enjoyment. I’ve said it before and I am certainly going to say it again; sword fighting is fun and sparring is a way we can access that fun regularly. Drilling may offer the opportunity for satisfaction when you pull off the moves perfectly, but can we call that fun? Sparring on the other hand has the excitement, the challenge, the buzz that we need to justify the slightly less appealing aspects of the Art, whatever that may mean to individuals. There we have it. Lot’s of people have told me that I over think things and that may be true but a certain degree of thought is vital. Getting my thinking done here will hopefully give me the mental peace I need in my fencing. I hope I have managed to explain why I spar, what I think we get from it and why we should, despite its many benefits, be cautious about the over use of sparring. I may not be surprising anyone when I advocate a balanced approach to studying HEMA but understanding why we should be well rounded is important. I have literally no idea what I will be dealing with next week. I have lots of stuff going on; FnaG is approaching fast although I am not sure of many details I promises to be a fun weekend as always. The IHFL has started to announce sponsors and the like, I haven’t formulated a plan there yet. I won’t be able to make them all like last year but I will review the ones I do make it to. More than likely I’ll make it to Cork and Galway legs (they’re only just around the corner so to speak) but Dublin and Wexford are less certain. The Cork Blademasters have just posted a teaser ad for a “Tactical Longsword” workshop in March which I like the sound of. Closer to home I have also just cracked open a copy of Meyer’s Art of Combat which I have been promising myself I will actually read rather than just look at the pretty pictures this time… I’ll let you know how that’s going. I hope you enjoyed this weeks post, I would love to hear comments and discussion around any of the points I’ve made. You can comment below or get hold of me at the Wrathful Peasants’ facebook page. Next Post Important Rant this week. Hi. Sparring is fine as a training tool or just to have a bit of a bash for fun to see what comes out of it. I think it has less to do with what you train as opposed to how you train. Where is your head at when entering the salle? Doyou have a specific goal before starting that you want to be able to perform by the end of the class or at the least, have a ‘feel’ for how it should be done. How about drilling a specific skill and then seeing if you can plug it in while sparring? Have a theme at each training session like work on not getting your hands hit or covering your exit after striking to prevent doubles or afterblows. Can you get a triple zwerch to work or train some grappling moves. Look at vids of your past matches and write down repeated mistakes, tells and silly stuff you do but shouldnt. We all do it but may not be aware of it. So, there is an endless amount of stuff to train! This shoukd always keep your training fresh and new and even if frustrating sometimes, you are always learning. 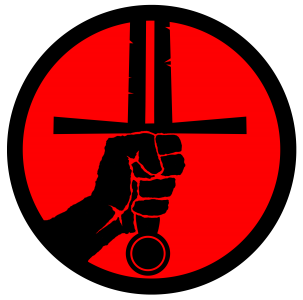 I am happy to give a structured class in Fiore dagger or longsword if you think you chaps would benefit from it (I am still a newb at ECSG so thought it might be cheeky to suggest it) . Perhaps we could overlap with some Meyer? I would love to have a go, despite the poofy pants, ugh! Just let me know. Anyhow good post. Cheers, Kev. Thanks for the excellent points. I agree there is so much more mileage to be had from sparring than just doing it by default. I think we will be trying to get more structure into the sparring as time goes on. You would be very welcome to teach a class Kev. Glad you brought it up so it doesn’t seem like we’re exploiting the new guy! I can’t speak for everyone but I for one would like to learn done Fiore. Though I’d be concerned that we wouldn’t be able to apply it as we lack the wrestling, dagger, one handed basics that are pretty important. Right?